I am trying out the Evernote presentation mode. Just like in Powerpoint or Keynote I want to be able to have an image and maybe some text to fit within the window without having to scroll to see the whole picture. I import a picture into Evernote but the image seems to be too big; therefore, if I am presenting something, I have to scroll to see the whole picture. Please see attached image to see what I mean. Question: is there a way to get the image to fit on the screen without having to scroll? It sure seems like Evernote should be able to scale the image, especially since I have already set where I want the page breaks in the "Presentation Layout" menu. If you're on Mac, you should be able to resize the image inline. 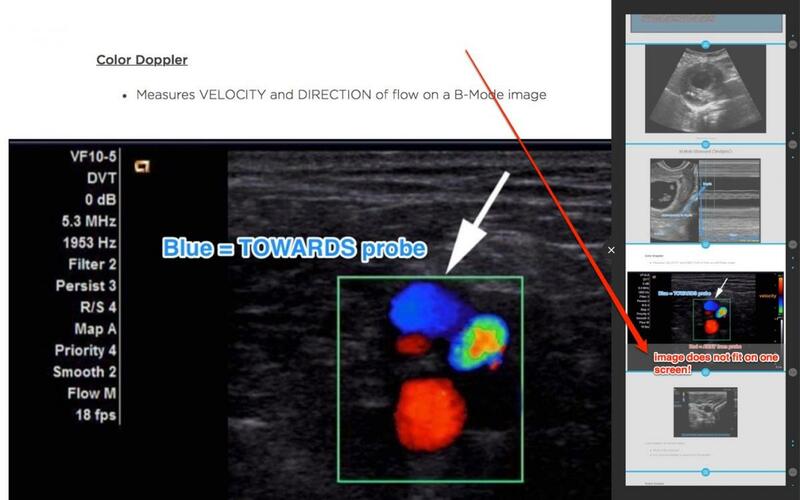 In so doing you should be able to scale the image down to fit into the screen during presentation mode. No luck on the other clients... but they should be rolling out the common editor on all clients in due course. If you have a flickr account, among many other options, as @Gazumped suggested, you can manually resize the image down to your required dimensions. It seems that in the newer versions of Evernote the image is scaled automatically to fit the screen. However, in my case i'd like to present an Infographic that spans several pages. So i'd like to have the image with it's width at 100% of the screen and then scroll down to see the rest in time. Is that possible? seems to me that was the behaviour some months ago as described by docfry, but now it changed ? Right now my image is so small you can barely distinguish anything on it because it scaled to 100% of the screen height. Hi - and Hmmn. Haven't noticed this issue and finding a fix would require some fiddling - would suggest you try any available options to 'fix' the image size - Windows also has image resizing now, so you could try that on the original note, plus maybe converting the JPG to PDF and specifying a custom-size (very large) canvas. I'd also suggest raising a support ticket - click Troubleshooting in the Help Center (link below in my sig) and scroll to the bottom of the page to see the 'Contact Support' button. I purchased the premium membership specifically for this feature however I never use it because of how it functions. I have all of the students send in their work using the tag and notebook method in the subject line. Then I walk through everyone's work. Or that was the plan. Now I am having to Merge all of the notes and export to view the pdf attachments. Please give us some options on this. Hi, I came from the future, and this is still a thing. Big images don't scale and you still have to scroll down. Coming from a couple of years ago and still a good question... plus what OS do you have? If image size is what concerns you, have you tried creating a table to hold the image and limit its size?